Collecting Data for Climate Studies-Worldwide! Today we had guests from three different organizations visit a class and join us outside to collect important data. Staff from Jerusalem Bird Observatory (JBO) in Israel, Manomet Center for Conservation Sciences in Plymouth, MA, and TERC in Cambridge, MA came to take part in the Climate Lab Project. Each year students at the STEM Academy participate in the Climate Lab Project with Manomet Center for Conservation Sciences. 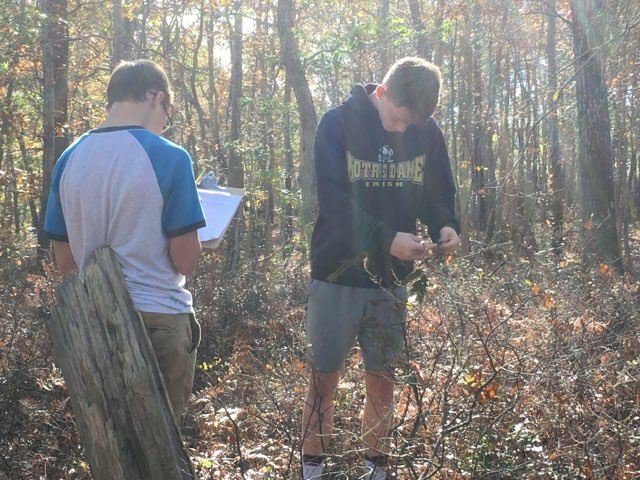 This project involves students in an on-going investigation of how climate change is affecting our local plant species. 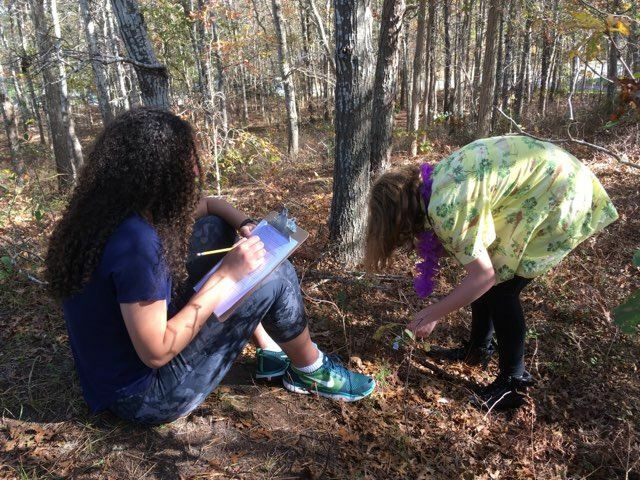 In the spring, students learn about climate change in the classroom, and then head outside to collect data on leaf growth. Students measure leaves during “leaf out” (start of spring) to see when leaves are leafing out, and how quickly they grow. This data is then compared to previous years to see if there has been a change. Preliminary data has suggested that leaves are coming out sooner and are reaching full size at an earlier date than in previous years. However, more data is needed each year. 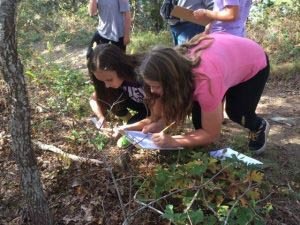 Almost a dozen schools are involved in this project and Manomet tracks and analyzes the data from all the schools. Ultimately, the data helps to determine the effect climate change is having on our local ecosystem. It also helps Manomet understand what is happening with bird migration, as birds eat caterpillars and caterpillars eat the leaves. JBO has expressed interest in doing a similar project with schools in Jerusalem. Therefore, they came out to see Climate Lab “in action”. Below are pictures from our field work today. If JBO does begin this program, we will share data with them to see if the effects we are seeing in Massachusetts are the same in Israel. It is a unique opportunity for the STEM Academy to be involved globally in something so critically important.